> Experian QAS > Are you concerned about the health of small businesses? 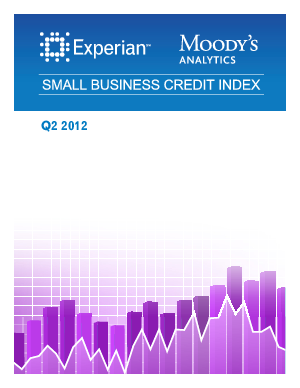 Experian® and Moody's Analytics® just released their quarterly report on small businesses and the results provided deep insight into the future of the U.S. economy. High level findings from the report show that credit quality will be slow to improve in coming months, and threats to consumer confidence and spending have become more prominent. Business confidence is in line with an economy growing below potential, and this could weigh on hiring through the rest of the year, postponing the emergence of a strong, consumer-led recovery. To understand how your business may be impacted, download the full report for free today!